Whop Whop its Friday and I'm feeling much better. Honey and hot lemon seems to have worked on the throat too so ladies when should be fine for tomorrows class. I've done us a brief instruction sheet through, just in case lol!!! I was sorting through the cupboard of current papers I've been working with this year and found the left overs from the Botanicabella Book in a Box project. A strip of butterflies fell on the floor and it seemed a shame to push them back in the cupboard so I matched up a couple of half used sheets of paper and made a card from them. 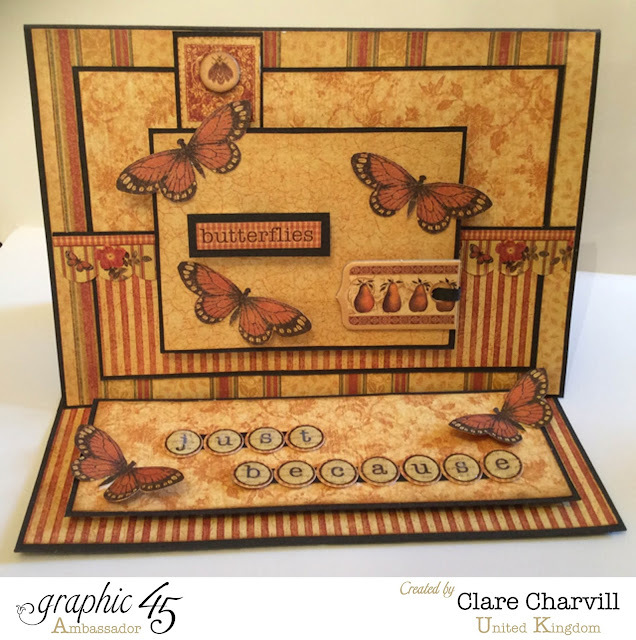 I've added a step by step below for you to use the dimensions and your own leftovers to make a similar sized card. 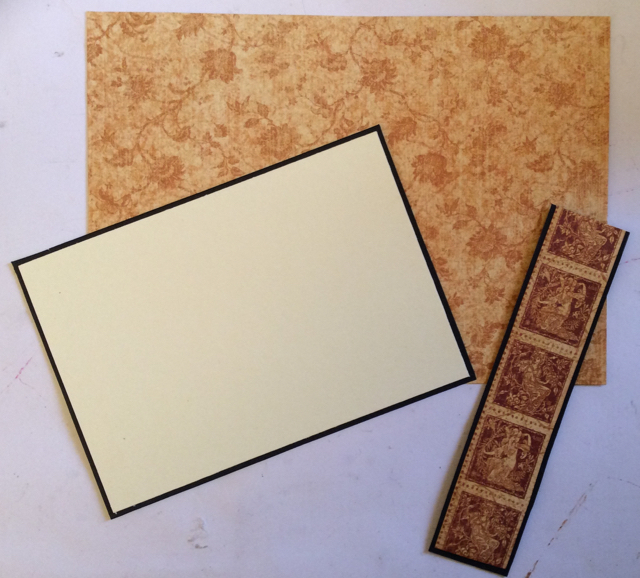 Cut a card base that measures 10 1/2" x 7" and score in 1/2" from one 7" edge. Score again 5" in from the other 7" edge and crease your fold lines. Cut a second piece of card 7" x 5". 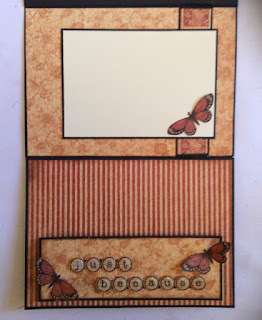 Join the two pieces of card together along 1/2" flap with double sided tape to create your easel card. 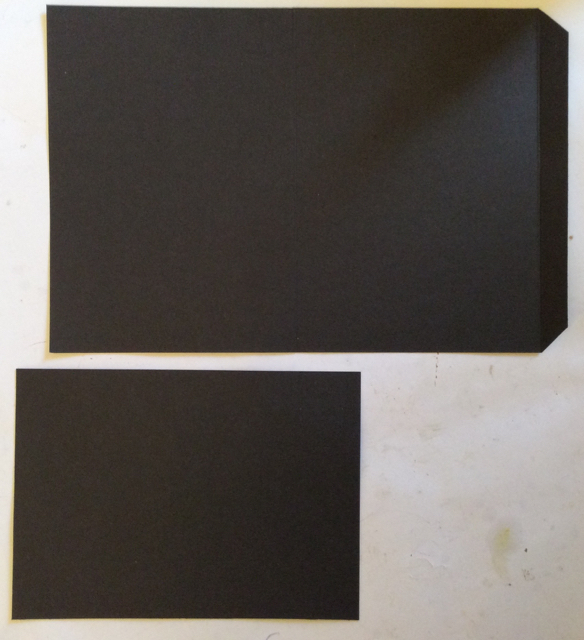 For the front of the card: Cut a 6 7/8" wide x 4 7/8" deep piece of paper and stick in place on the front of your card. 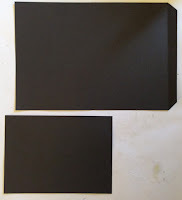 Cut two pieces of paper 6" x 2" . 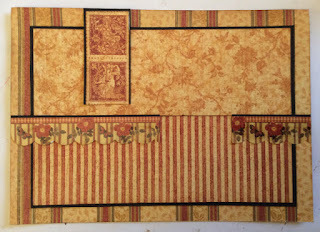 Mat them together along long edge on black card and using a perfect layer ruler trim back the border to 1/16"
Cut a second piece of card 4" x 3" and mat on card as above. Mount on foam pads. 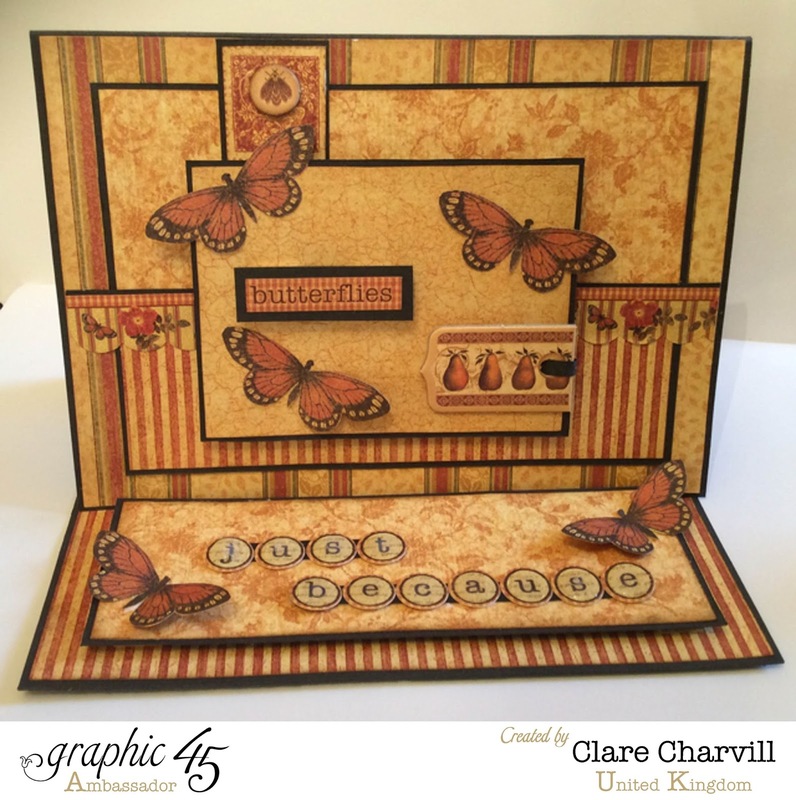 Chose your embellishments and mat them on card or cut them out. Stick the larger assembled paper piece centrally over the paper on your card. 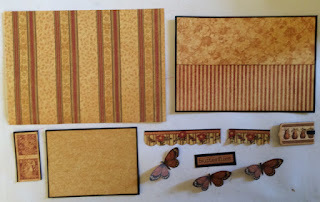 Position your embellishments if you want them to tuck under the 4" x 3" paper piece. Stick the foam mounted paper piece in place on your card front and add your chosen embellishments. 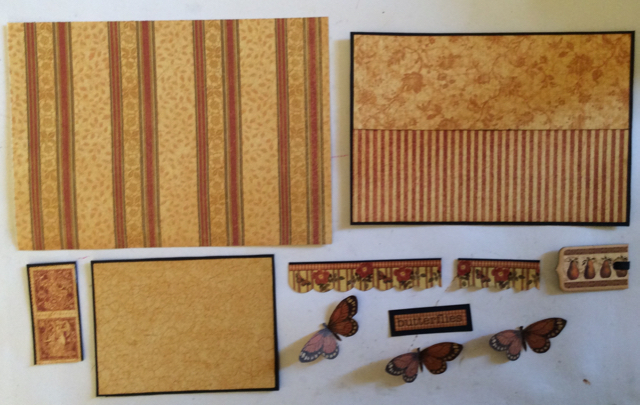 For the inside of your card cut one piece of paper 6 7/8" wide x 4 7/8" deep. Stick in place on the iner back section of your card. 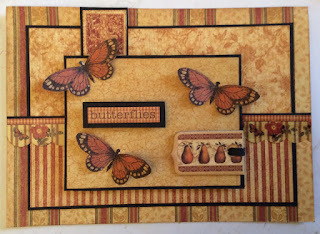 Add embellishments and mat a light piece of card cut at 5" x 3 1/2" on a card base that matches your card base. 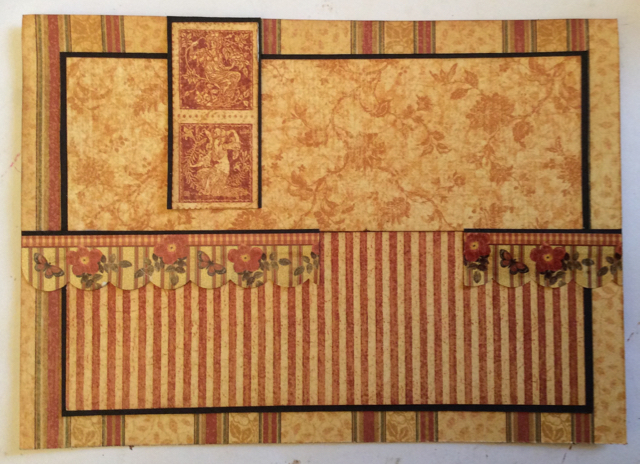 Trim border to 1/16"
For the front, flat secant of your card cut a last piece of paper 6 7/8" wide x 4 7/8" deep, and stick in place. Cut one last paper piece 6" wide x 2" deep, mat on coordinating card, trim border to 1/16", mount on foam pads and stick in place on your card base 1/2" from front edge and centrally between sides. For the sentiments I cut out a word from the paper for the fronton my card and used stickers for the Just Because sentiment, mounted them on a narrow strip of card. Covered the centres with glossy accents to give them a button like appearance, and when dry stuck them in place on the card base. 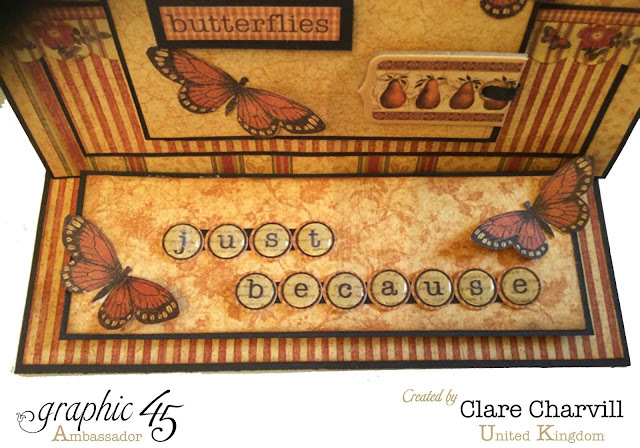 Add embellishments to this section to finish your card. 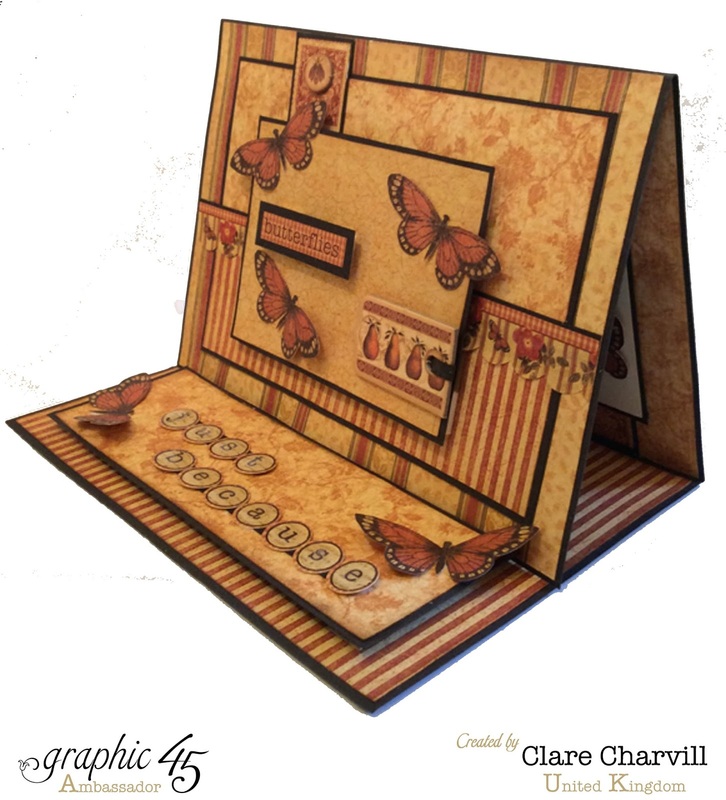 If you'd like to be in with a chance to win one of my project sheets, click here to go to the giveaway blogpost and leave your comment before midnight BST 30th April. the winner will be announced here on the blog on 1st May. Morning Clare, I'm so glad you are feeling better and the honey and lemon has worked for your voice. Great that you will be able to speak tomorrow, rest your voice today haha. This card is stunning !! I love every element of it. Beautiful card, going to have to give the easel cards a go!! Have never made one before, love these papers too!! Have a wonderful weekend, hope your voice holds out if not all will understand!!! I know the ladies will have lots of fun. P.S. Have said a Happy Birthday to Mark as well!!! That is a lovely card! Mind you, everything you do is lovely. As lovely as always Clare. So pleased you are feeling better.